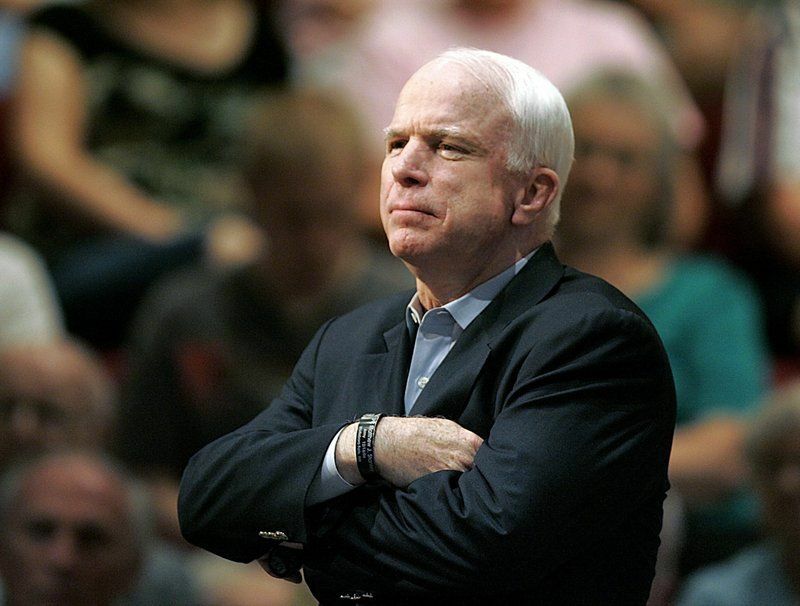 United States Senator John McCain, the Vietnam war hero turned senator and presidential candidate, has died aged 81. Mr McCain died on Saturday surrounded by his family, according to a short statement released by his office. His family announced Mr McCain, who left Washington in December, had decided to stop treatment on Friday. Mr McCain's daughter Meghan said the task of her lifetime would now be "to live up to his example, his expectations, and his love. "The days and years to come will not be the same without my dad - but they will be good days, filled with life and love, because of the example he lived for us," she wrote in a statement shared on Twitter.